A recent survey conducted by Major, Lindsey, and Africa and the American Lawyer explores attitudes of millennials at large law firms. The unspoken premise of such surveys seems to be that generations of workers are different enough such that we need to really know what makes them tick. I’m old enough to remember when my cohort, Generation X, conducted such surveys. So let’s see what’s new in this survey. It’s a non-scientific questionnaire filled out by over 1200 respondents. The respondents were not randomly selected. And the description of its methodology doesn’t tell you how they were selected. So it’s possible that some folks responded more than once. Stat-heads would tell you that such survey results from respondents who are not randomly selected are of no predictive value. Here, the results don’t necessarily tell you anything about the broader population of millennial lawyers. So with this significant caveat let’s explore what the survey said. When deciding what factors are most important to selecting which law firm to work at, millennial men care most about money. And millennial women care most about work-life balance followed by money. Interestingly, the survey does take a non-binary approach to gender identity. The respondents self identified as follows: 52.3% Male, 44.1% Female, o.8% non-binary Third Gender, 0.5% Prefer to Self-Describe, 2.3% Prefer Not To Say. When asked why they would change firms only 1.7 percent of respondents selected diversity as their most important factor. This is a contrast to 28.6 percent who selected compensation and 20.0% percentage who identified work/life balance as their most important considerations. Apparently, a very small percentage of respondents cared a lot about diversity and many cared very little when deciding where they should work. When asked about their career goals, 40% said their goal was to make partner at their current firm. Is that a sign that millennials are more loyal, or that they are ignorant about their real chances of making partner? One of the survey responses that has garnered the most media attention relates to compensation. Nearly 75% of respondents reported that they would trade a portion of their compensation for more time off, a flexible work schedule, or a cut in their billable hours requirement. This seems like a new attitude, but it’s not clear that it is. As a consultant to lawyers and law firms, most of the associates I have talked to have indicated that they would accept a reduction in pay for a reasonable decrease in work. This seems to be the most common opinion for the last fifteen years or more, and doesn’t only apply to millennial associates. It’s probably been true of all associates for quite some time. A majority of associates (50.9%) also see the large law firm business model as broken. And guess whom they see as changing that model for the better? Not clients or changes in supply in demand or regulatory rules but themselves. They see themselves as changing the system. Good luck indeed–to millennial associates as well. Fewer of you will make partner than you believe, and the chances of you bending market forces to suit your desires are questionable at best. 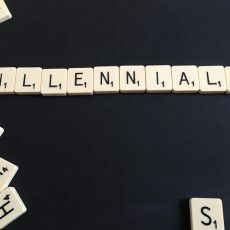 In other words, this non-scientific survey may have inadvertently shown that millennials are not as different from prior law firm generations as most people, including law firm leaders, believe.